Starting your own blog can be a first tentative step or a big bold move into the world of online publication. Launching a personal blog, a corporate opinion blog or something else entirely, is easy to learn how to accomplish quickly. Here are the top blogging platforms that make it quite simple to launch your own online presence with the minimum of fuss. There is often a free version and a premium version with upgraded features such as your own domain instead of shared one and the removal of localized advertising that may be present on a free blogging platform to help fund their operating costs. WordPress is the most popular blogging platform, the grand-daddy of them all. Well tested by an avid community of developers, with traffic stats, spam filters, free designed themes to slot in fast and many plug-ins to add yet more features when you need them. You really cannot go wrong with WordPress, however it does have a bit of a steeper learning curve than other blogging platforms, but the climb is well worth it. WordPress.com offers a free version of WP. This has a limited range of free themes and plug-ins to try. There are certain restrictions on how you may use their service and the site is hosted within the WordPress.com domain structure. Basic sites that are not commercial targeted are fine on this version of WordPress. 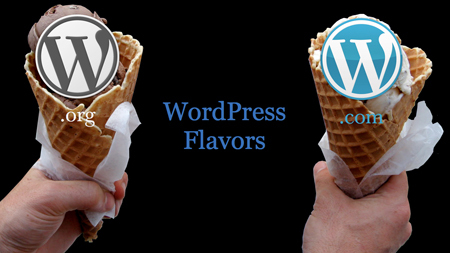 WordPress.org is their more commercially-oriented blog network. This version of WordPress can be self-hosted, which confusingly actually means that you can have your own domain name and host it on a separate web host. For large growing sites, this would be the way to go. The Blogger business was bought out by Google. That may or may not be an issue for some people. Google is quite aggressive at banning blogs on the Blogger network that it deems are spam or low quality blogs; just something to be aware of. Blogger is nicely constructed, with a Template Designer that makes it a simple matter to customize things how you would like them. All Blogger sites tend to have a similar look to them, up to a point, so you are always fairly sure that you’re on the Blogger network. This may be a positive or a negative depending on your perspective. However, you are able to add a custom domain, which is very unusual for a free blog network. Tumblr was recently bought by Yahoo! scrambling to catch up on the growing blogging trend. 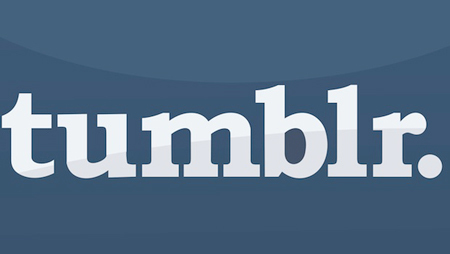 Tumblr has grown and grown since it’s early days by offering a micro-blogging platform, rather than competing directly with other blog networks. Tumblr also have a myriad of blogging themes and other cool features which help to encourage the younger generation to create Tumblr pages. The Tumblr account can be synced with Facebook and Twitter, and is also compatible with Google Analytics for detailed visitor stats. 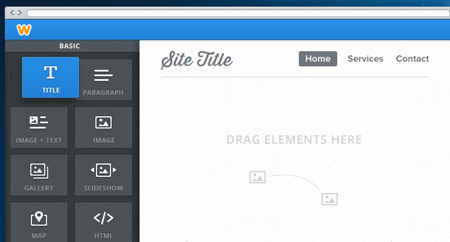 Weebly isn’t just a blog network, but it allows people to get stuck in and create their own website. The easy to use drag-and-drop design feature, with image galleries, slide-shows, audio/visual content, maps and much more, make Weebly quite popular. There is also a Designer Platform which opens up website building for others, at which point Weebly becomes so much more. LiveJournal is blogging and social networking melted together; you don’t get one without the other. You can get social by sharing polls, create networks of people and communicate in real-time with visitors to your journal. For people who want more interaction than creativity and options, LiveJournal may suit them well, but for others who would prefer the option to expand later and add new features through a variety of plug-ins, they may find this network a bit limiting. 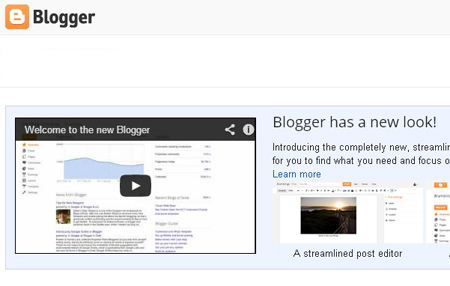 Blog.com also uses WordPress as a basis for its own blogging network. This platform comes with many gorgeous themes to use which are of higher quality than found on other free offerings, and also some powerful plug-ins are included, yet it lacks a lot of storage and displays quite a few ads. Users will have to weigh the good and the bad with that before deciding whether this blogging network suits their purpose or not. The SquareSpace unique selling point is their LayoutEngine feature which allows the dragging & dropping of parts of a blog until you have it the way you want it. The pages are all grid-based, so any element can be moved to somewhere else on the grid. 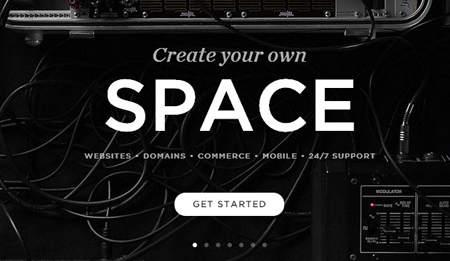 Sites are hosted in the SquareSpace cloud, which removes downtime risk too. This blogging network does not have a free option. Prices start at $10 rising to $30 monthly, but with discounts on these prices for paying yearly in advance. All packages include a free domain. 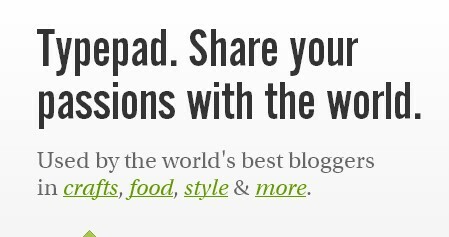 Typepad is a closed source blogging platform and it is one of the eldest blogging platform.Typepad members can publish their posts from desktops or from mobile devices.When a post is published,Typepad promotes it on its pwn network which means it is a great advantage for bloggers. Postagon: Made for those who like it simple and clean, Postagon is a free blogging platform equipped with the essentials for a pure reading & writing experience. Postach: The blogging platform powered by your Evernote documents.